I’m 30! The rest is all down hill from here! the last few weeks have been a bit insane. Before I update you, have the cover of Simple Plan’s soon-to-be released (tomorrow!!!) 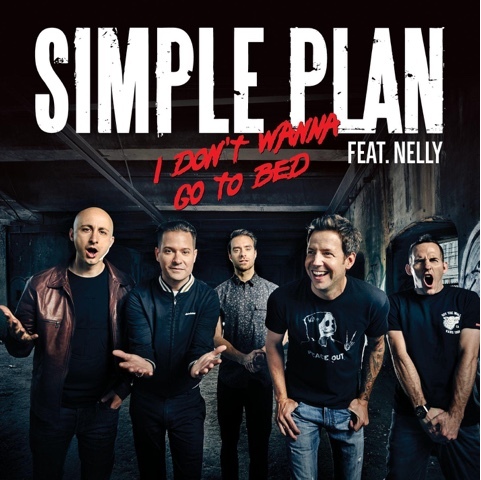 single, “I Don’t Wanna Go to Bed!” (“Is this their I Don’t Wanna album?” – Mark). 1. My husband’s health took a turn, and he ended up in hospital. We initially thought it was due to ongoing issues with a wound he has on his foot, but over the past week of tests etc (I won’t bore you with them) the doctors now think he has the flu. 2. In the last two weeks of school holidays it was absolutely crazy at work. It’s settled down now, but we now have hand foot and mouth going through the centre. Fun. Spent ages cleaning every single toy in our room yesterday. 3. I turned 30 on Sunday the 11th. Not the most auspicious of occasions, what with Mark being in hospital, but a strangely beautiful day, nonetheless. 4. 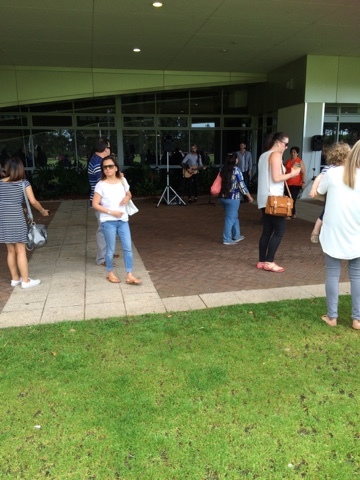 Riverview is now based at Curtin for the next ten or so months. The first service, which incidentally was on my birthday, went amazingly well. God’s presence was there in the large space. It still felt like home. 5. Throughout all this time, one thing is abundantly clear: God is forever with me. And finally. Have this photo of the team worshiping pre-service.